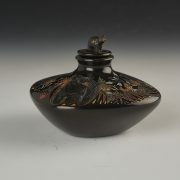 This is one of our favorite shapes that Jennifer creates for us. Squared off at the top, it is hand coiled and fired outside. 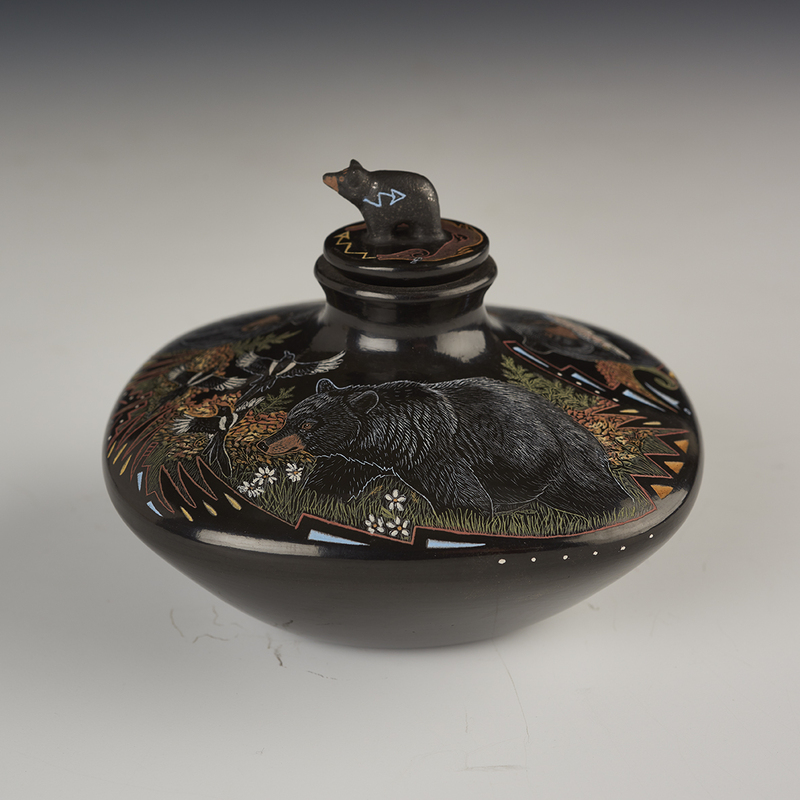 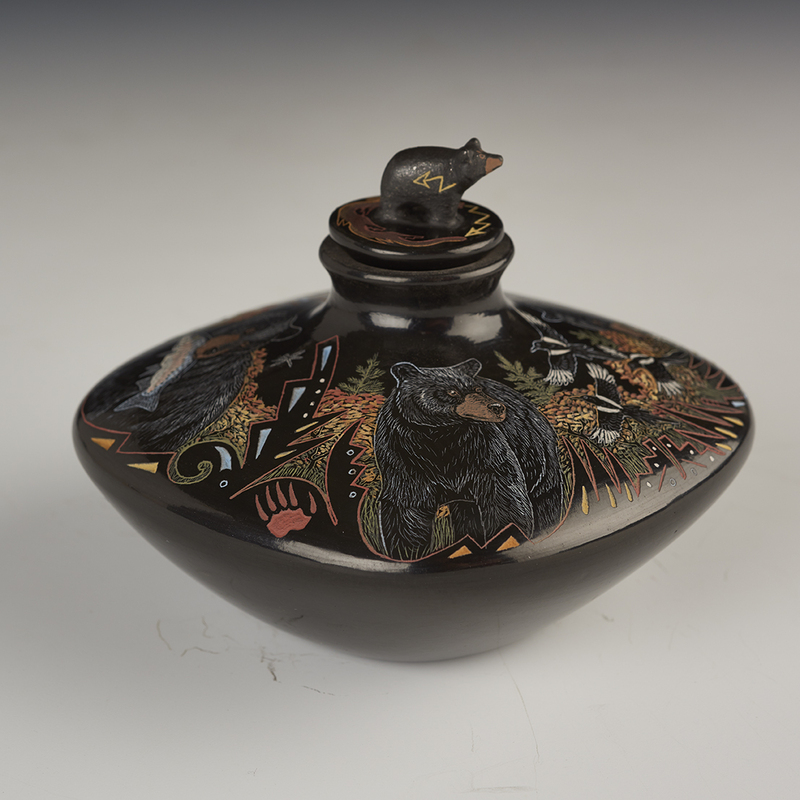 The incising on this piece is wonderful, and the “bear scene” fits the shape so well. 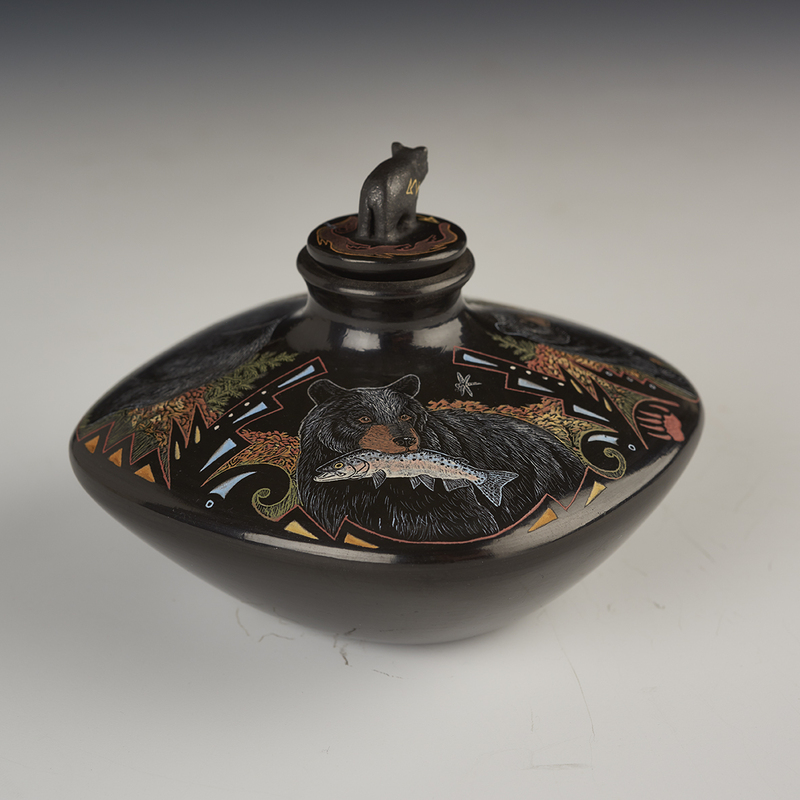 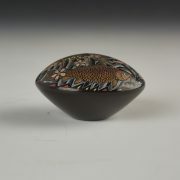 Look closely at the details – birds flying overhead, fish in the bear’s mouth, flowers, and even a dragonfly. 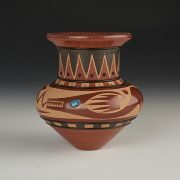 These images are intertwined with Pueblo designs as well. 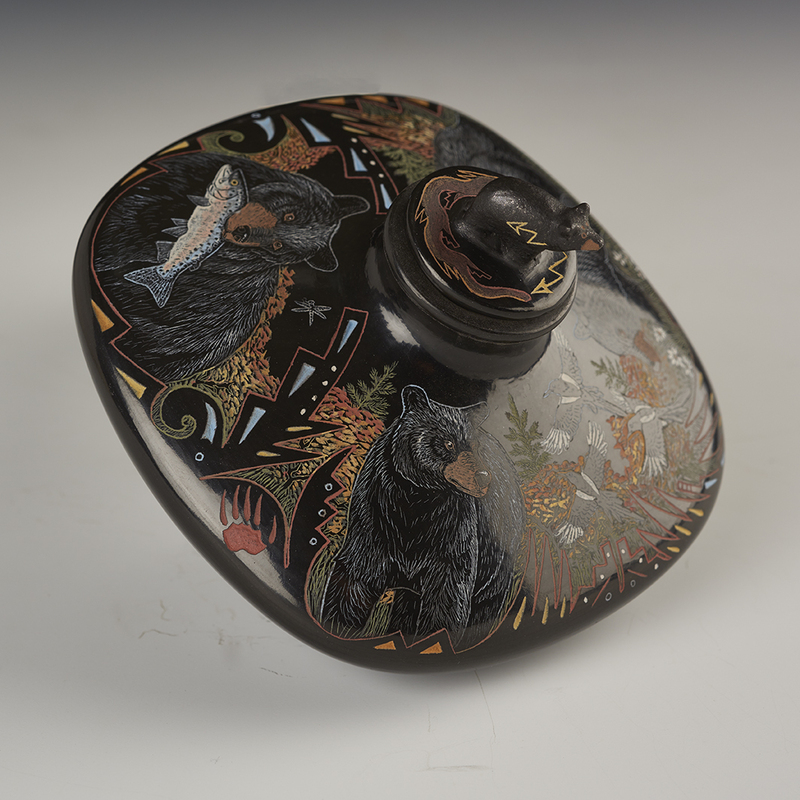 The sculpted bear lid finishes off the “story” so well. Beautiful use of colors, and precise etchings, make this a marvelous new creation by Jennifer.